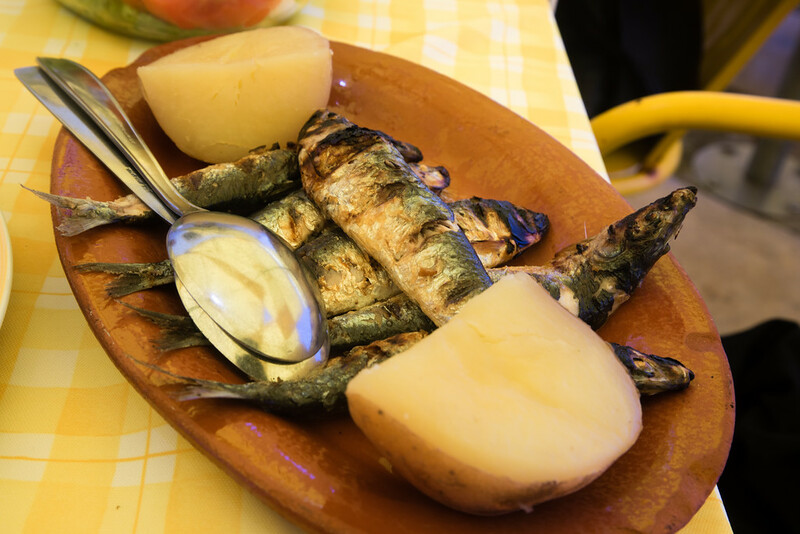 Fancy an adventure that includes freshly cooked sardines or grilled sea bass with stunning views of Lisbon and the 25th of April bridge? 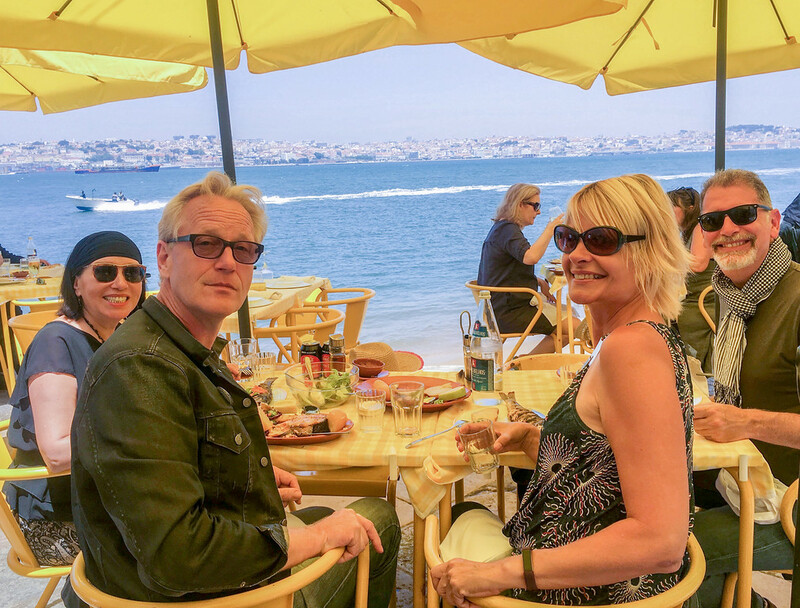 Then we suggest while you do your Portugal travel you go across the river to the Ponto Final restaurant in the small town of Cacilhas in Almada. This place was recommended by other retired friends, and it did not disappoint. We were there at lunchtime on a Monday, and the restaurant was fairly busy then, so go early to get a table. It’s also meant to be a cool sunset spot, so I guess we will have to go back, oh it’s a hard life! 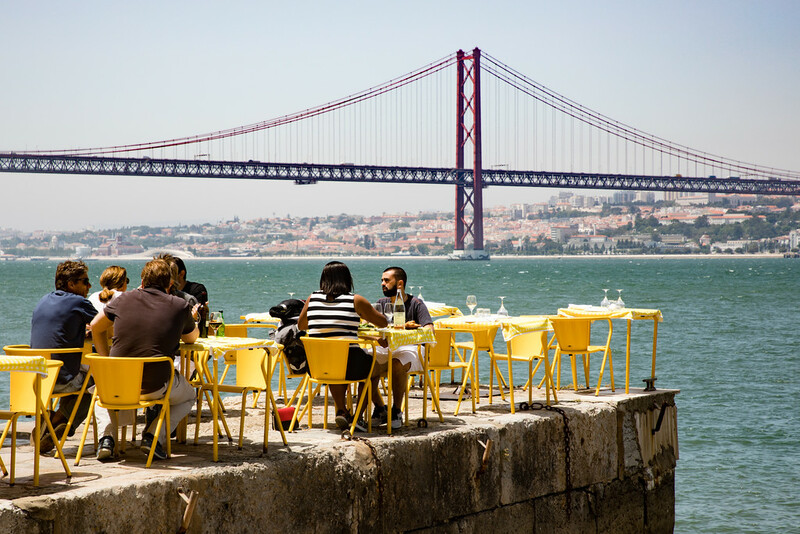 Anyway, if are driving, it’s easy just to drive over the bridge, lots of parking nearby or take the regular 10-minute ferry across the river from Cais do Sodre, then it’s about a 15-minute walk along the waterfront. It is a great place to go when you visit Portugal. After lunch, it is good to walk off all the bread, cheese, olives, fish, etc. and take a stroll by the river and through the old town of Cacilhas. Also worth a visit if you’ve made it this far, is a trip to Lisbon’s iconic Cristo Rei statue. You can walk there from the town, take a bus or if you are lazy like us, jump back in the car. Well, there’s plenty of free parking. 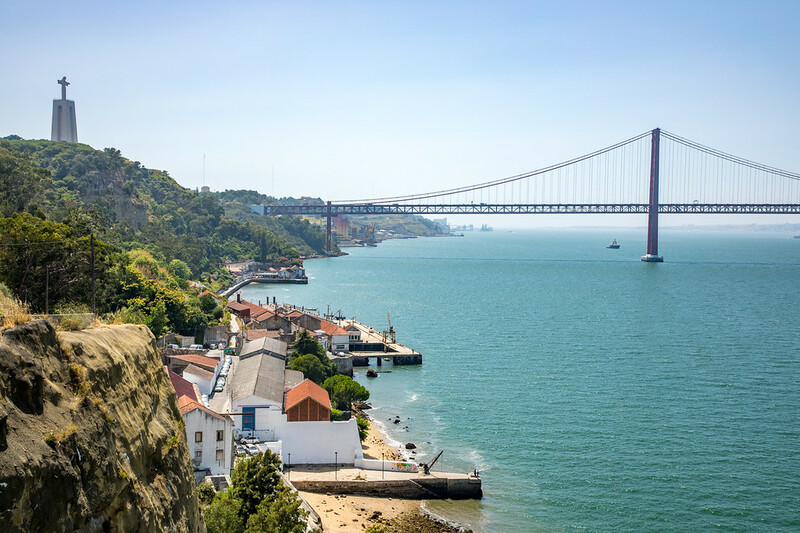 From the viewing platform at the statue’s base, there are more stunning views of Lisbon. It’s also possible to take a life to the top of the statue. Interesting fact: The statue of Jesus Christ is traditionally thought by the Portuguese as being built to thank the church for keeping Portugal out of World War II, but in fact, the original inspiration for the statue came before the war when the Cardinal Patriarch of Lisbon visited Rio de Janeiro in 1934. So now you know!